Nearly 6 months ago we released v11, it was one of the most critical changes to Kosmos and created a huge burden on the next major version. That burden being that it had to top the creation of a team and all the other stuff that happened with that version. Today, after 6 months and 14 releases, we're happy to release the 50th version of Kosmos and next major release, v12. It's completely unbelievable how far Kosmos has gotten over the time and all of this wouldn't have been possible without this talented team willing to join me on the adventure and all the patrons and fans that now allow us to pay for sdsetup.com, guide.sdsetup.com and much more. I also want to thank @CTCaer and many other amazing developers for continues support over this journey but also artists such as bernv3 and the whole discord community constantly providing us with valuable feedback and happiness. 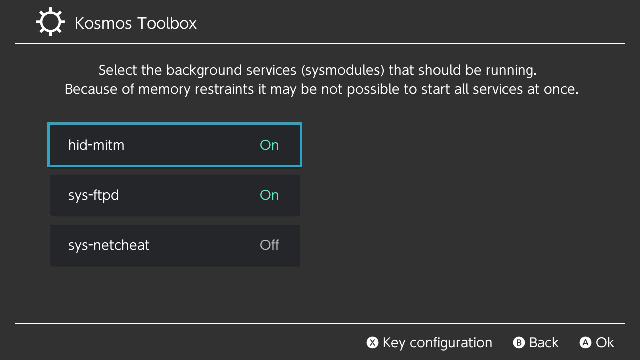 Update of the Kosmos Toolbox! After months of teasing and lots of testing the Kosmos-Toolbox is finally ready for you to use. Featuring the worlds first sysmodule hotloading and much much more! This means no more annoying reboots just to enable overclocking or the FTP server! Ever been annoyed about how long it takes to launch Lakka or to start a NAND backup? We too. 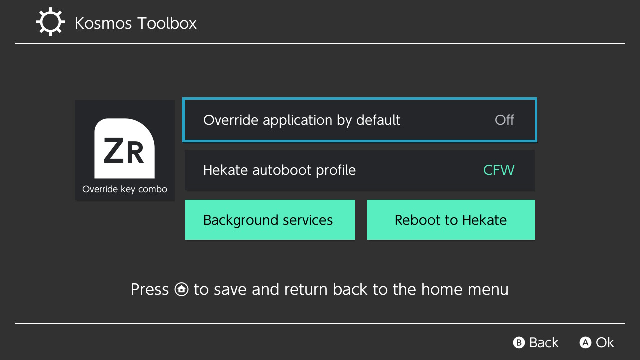 Reboot2Hekate allows you to reboot directly into any Hekate profile you have installed on your system or into the Hekate menu itself with the click of a button. The second really big feature of Kosmos v12 is the release of jakibaki's hid-mitm. 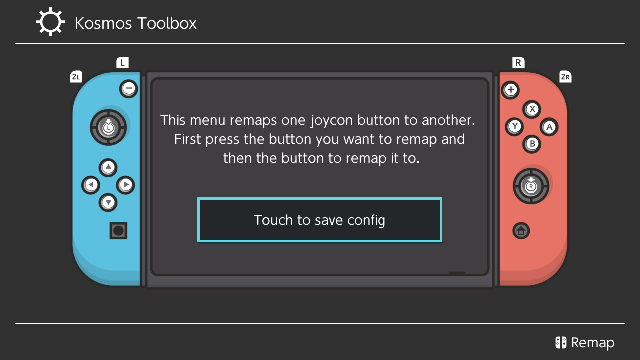 For ease of use the latest Toolbox release introduces a new interface to easily rebind any button to another! We heard you and fixed the annoying override-key rebind bug! Fully compatible with the latest Atmosphère 0.8.6 changes! With this latest release we're bringing you a new and awesome custom sysmodule called hid-mitm. Jakibaki has been hard at work to implement this and it's finally ready. There are a lot of modified versions of this pack going around, We are not connected, responsible or justifiable for the content of those modifications. If you want sigpatches you must download the additional zip file included below named "Additional.Sigpatches.espatches.zip"